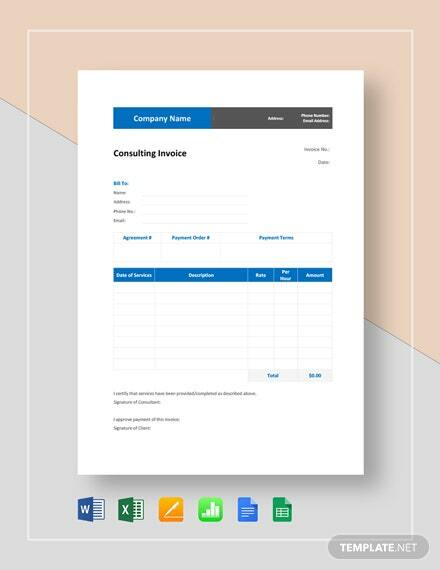 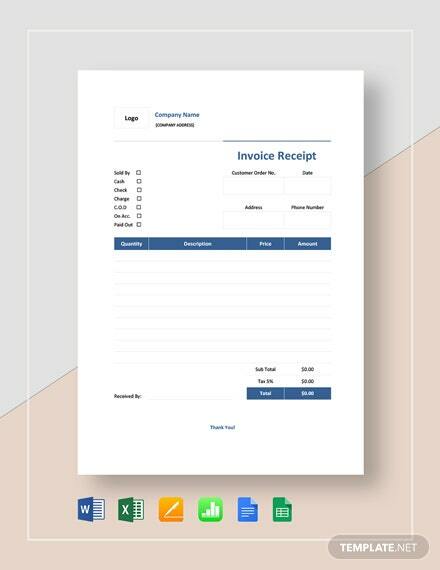 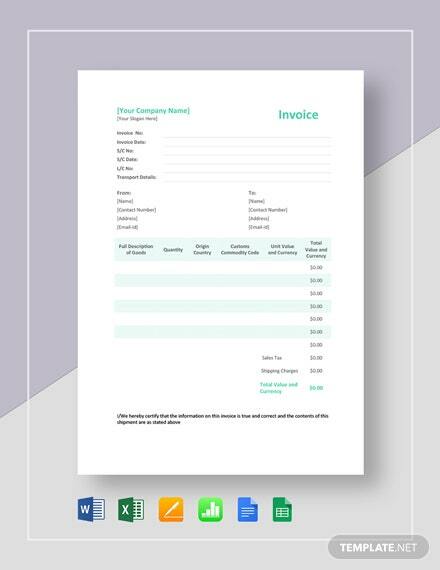 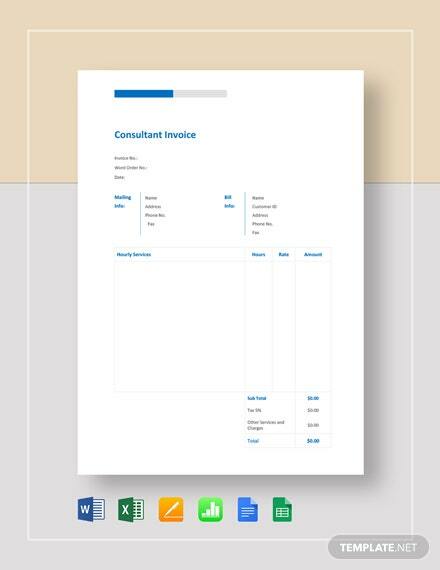 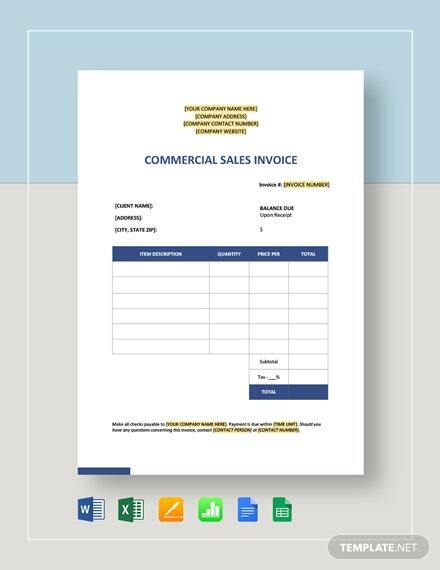 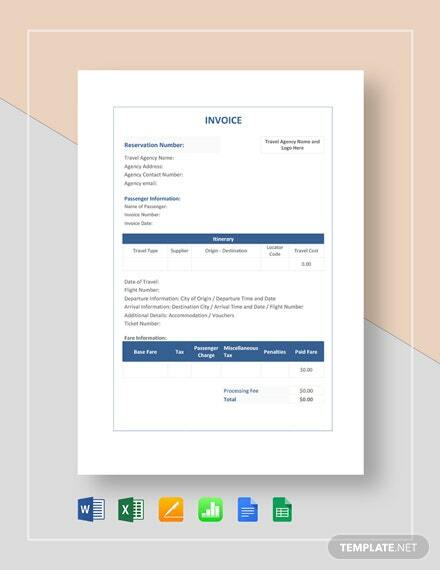 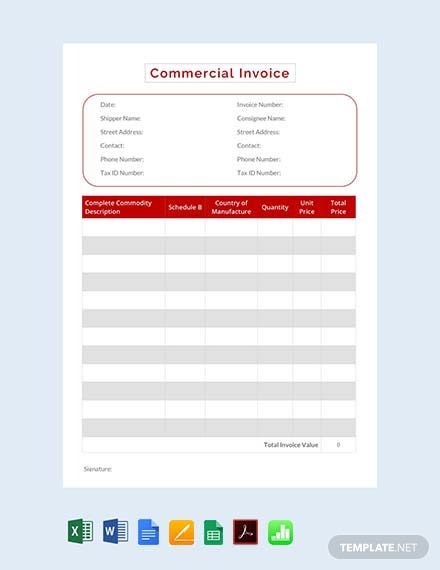 Download this commercial invoice template for free. 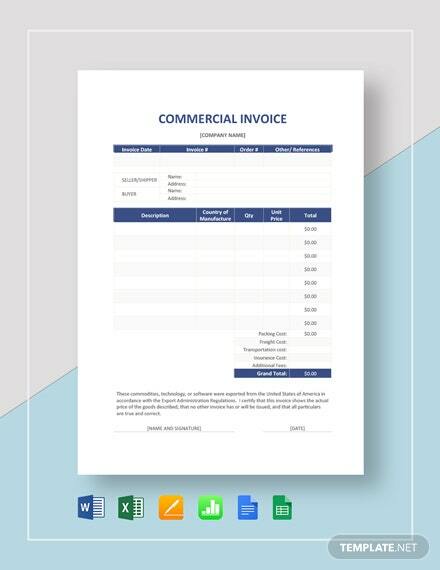 This well-formatted file is high-quality, printable, and perfect for your business. 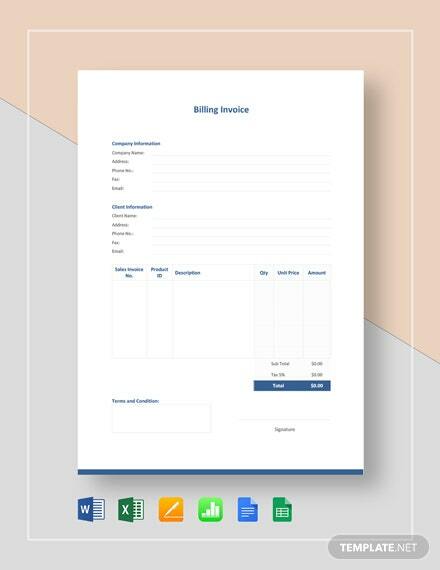 Easy to edit and fully customizable in your favorite editing software.